The Delta State Chapter of the Nigerian Association of Road Transport Owners(NARTO), on Monday warned its members against parking their trucks along the Ugbuwangue axis of NPA Expressway, Warri. Delta State Chairman of NARTO, Prince David Iwere condemned such parking as he described it as very unsafe, and said the association would not take responsibility should anything go wrong. 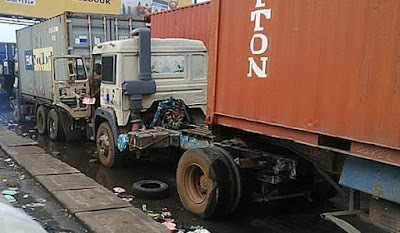 Iwere who exonerated members of his association from such reckless parking, said there has been a lot of casualties along the Niger Cat end of the expressway as a result of such parking. The association promised to maintain a good relationship with the NPA by parking at the designated parks as part of the efforts to ensure highest safety standard.